the SC bag is the perfect bag. it is one of those dream items that in real life looks exactly like how you imagine it. 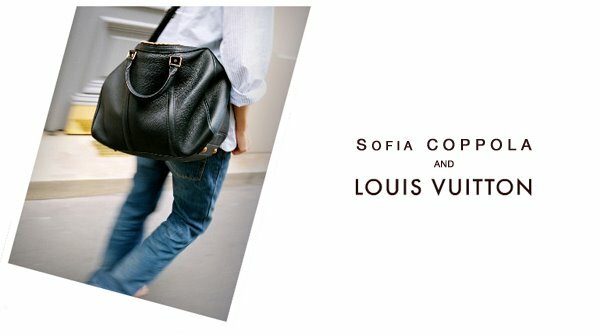 the LV Sofia Coppola bag is, much like the muse and designer herself, the embodiment of quiet luxury at its best. i've never really paid much attention to the monogram bags (though some of the artist collaborations have been neat), but this one immediately went to the top of my dream wishlist when it came out two years ago. i've seen more than a fair share of luxury knockoff bags (Celine, Hermes, and Chanel are the top hits) at the notorious shops on Xinle lu, but for the most part there are few SC knockoffs to be found. the relative unpopularity of it here in China attests to the under-the-radarness of the SC, which is one of the qualities i love about it. (a quick google search does yield up a ton of SC replicas online in the US that curiously all have telltale elongated top-handles.) if you really love this bag and if it is feasible for your lifestyle and budget, i'd highly recommend being patient and doing some planning/saving/pre-owned luxury researching. there are altogether too many terribly expensive "It-bags" out there that are not up to snuff, but it's heartening to know that the SC is really a special piece. do you have any dream items on your wishlist this year? That purse is my dream purchase. It's just perfect in every way. But I have a feeling that if I was to save money on the side specifically for it, I don't think I would have the guts to actually spend that much!! 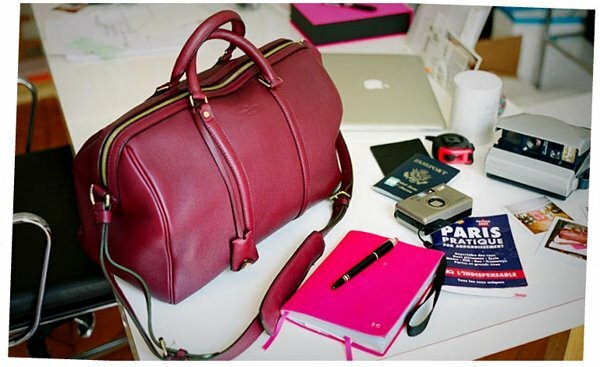 But I love the bag, have been lusting after it for so long. Looks great! oh, i know exactly what you mean! i think the totality of the pricetag makes it scary, but one could easily spend that much on a year's worth of purchases too. so oddly enough incremental spending is somehow more easily justifiable. it's a magnificent bag, in my opinion worth every bit as a similarly priced bespoke suit from Savile Row! The bag is beautiful! I'm partial to bags with two kinds of handles. I like smaller bags though so I would go for Speedy in Epi black if I had the cash. The Tory Burch Robinson satchel is also pretty similar to the SC bag. Oh, the SC bag is totally my dream purchase, that a Cartier watch and I'm all set. I wasn't sure if it was you I saw on TPF's SC Clubhouse, I've been meaning to ask you about how well the bag keeps up. haha! TPF is seriously addictive and such a rich resource for luxury bags. i've had mine for a little over a year now and the SC has held up really well. i got it almost-new from a preowned luxury shop so it was already lightly broken in when i got it, and i've had it out in the snow, a sideways-rainstorm, etc and the leather just gets better. haven't treated the leather at all either. I didn't know that you'd obtained that bag! It's on the top of my wishlist and I don't think it's reasonable to buy it NOW (even though I could easily afford it if I didn't buy anything for a year) since I'm still very young.. but I hope that once I graduate school, when I'm 30, that it'll be mine! thanks! i think it's a modern classic! What's nice about it is, that it's a discreet looking bag, doesn't scream. Nobody would know it's a Vuitton or any other big name. All in all, timeless and classic. It's so perect. I still want to save up for it, but I haven't started yet. And just like Caroline, I don't know if could actually buy it. Maybe I should look around for a preowned, it's just so beautiful. i know what you mean. i'm glad i found my SC bag...and can take a nice, indefinite break from big ticket purchases! I was never a fan of Louis Vuitton (the Monogram & Damier are too ubiquitous, the Epi too rigid & unnatural looking) but THIS is the one LV bag that I want. I love how low key it is, I love the colors and materials it comes in (the suede is gorgeous, if impractical in a tropical setting), and the well-thought-of details. Un/fortunately, depending on how you look at it, it is waaaaay out of my financial reach. But if I ever come across a reasonably priced pre-owned one (does it even exist), my bank account will be cowering in fear. my thoughts exactly! from time to time i think it does pop up on pre-owned sites. the suede versions are nice too, though i'm sure more delicate than the calf leather ones. I have been stalking your blog for awhile, and I always wondered why you didn't own this bag. It is such a natural fit for your style. Hate to use the word, but it really looks "effortless" on you. A natural addition to your wardrobe. Enjoy. To answer your question, the SC clutch is what I want. I actually gasped when I saw it for the first time (in person). I love the bag as well, but I haven't committed to whether or not I want it (yet). I have some shoulder issues, and I am worried about how heavy it is trying to carry it on a daily basis. Is it heavy (carrying it all day)? thanks! the SC isn't a light bag, but it's not very heavy as there's no extra hardware or embellishments to weigh it down. it's substantial like an Hermes bag is substantial. i like carrying it by the top handles like a briefcase, but you can adjust the shoulder strap to a comfortable drop for your height, etc. i always try to edit the contents of my bag regardless so that i'm not hauling around too much stuff! the bag is fully lined in suede, but i don't think that really adds to the weight. it's nice calfskin leather, which will always be heavier than lambskin or a thinner-leather bag. it feels to me about the same as an Hermes bag. Oh wow, I am so jealous! That bag is my dream purchase (some day) and is absolutely divine. Congratulations! P.S. I have that exact J.Crew sweater; super comfy, no? I'm so jealous! The SC bags really are perfection. I never really cared for Louis Vuitton before, their monogrammed bags usually bored me. These, however have made me reconsider the brand again. I think this really is a bag that will stay stylish forever. Congrats on owning one! thanks! :) and thanks for stopping by! ha, you're right! the fake bags industry is thriving here in SH. really, really disturbing how intricately good a lot of the high-end knockoffs are, especially for Hermes and Celine. it's a fantastic bag. i think my collection is complete. These images perfectly justify the beauty of LV bag, more so than many that I've yet seen online. I really like this entire outfit, the jeans and sweatshirt have such a classic appeal - love your choice of colours also! aww, thanks! your photos are so dreamy, i get so inspired from your blog! That is a gorgeous bag. Just. Gorgeous. I would love this bag someday, I'm wanting to save up for it but there are so many 'basics' I still need. I'm also not sure if I would go for the regular size like you have, or the PM which seems quite big even though it is the smaller version. that Celine bag has got quite a likeness to the SC! i really love the clean lines of a classic duffle. sportif and chic. What I like about the SC bag is that SC extended the zipper over the edge so you won't scratch your hands when you grab something from the bag (like it happens with the Speedy bag). yes it's definitely got all the design improvements over the speedy! i think LV is really trying to compete with Hermes with a bag like the SC. it's there are so many other luxury bags in the same range that are meh, IMO. OMG!!!!!!! I'm so jealous that I can't even form coherent thoughts right now!!!! I can't believe you didn't bring it to SH with you! It seems like the perfect bag for everyday use. It's so beautiful and I'm glad to hear that it is made really well! hehe...how is *your* amazing Celine box bag these days? are you getting a ton of wear out of it? This is the one and only super-high end bag I would even consider daydreaming about. Buying it is another story, but I aspire one day to be as focused as you in my purchases. My own approach is much more scattershot, which is why I end up getting rid of so much stuff. I'm very curious about buying pre-owned; how do you make sure you're not getting a fake? The SC bag is so lovely and perfect, thanks for showing it! you're welcome! hopefully this post will be helpful for SC fans who want to see the bag IRL. i remember not being able to find any blog posts about the SC when i was considering getting it! Longtime reader here (first-time commenter)! Under your "shop" category, I wasn't able to access but a few of your favorite shop links. 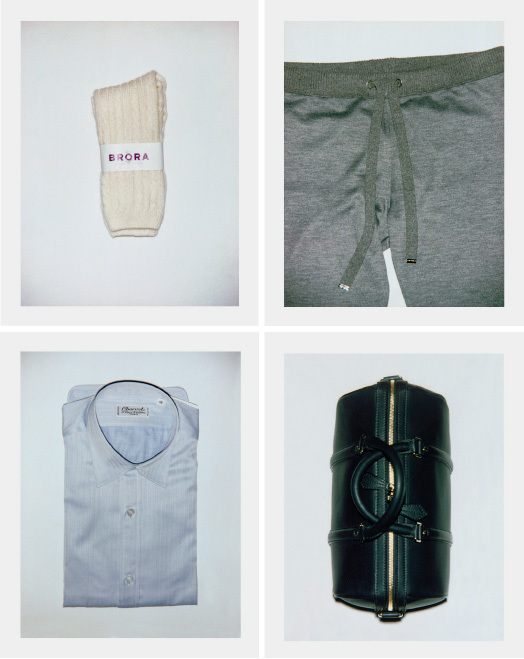 (In your Hermes Kelly thread, you mentioned that you have linked to some of your favorite online vintage-luxe retailers but I didn't see any of these particular links. I wasn't sure if the links were no longer posted or if I need to change settings on my computer. I enjoy your blog, thanks again! thanks for commenting! comment more often :D i always love to hear from all my readers. buying/scoping out preowned/vintage luxury online can be hazardous to your health and i only recommend doing this once or twice a year at most. i think i may have sped up a white hair or two when i went through all the hoops to get my vintage hermes kelly! yeah you're right to be freaked out about fakes. i may do a post on that as many readers have asked about this. stay tuned! Jeans, sweater, flats that's exacty how I see it teamed with. One thing I wonder is about the weight of the bag. Isn't it tedious to hold it over the shoulder with all your stuff inside? haha! well, prissy girls love their LV too. that's only fair. it wasn't ironic prissy though? you gotta love Karl. as politically incorrect as he is i must say he's right about the bag philosophy. isn't that way real luxury is all about? i love your phrase! "a luxe bag shouldn't be worn with extra care but extra cool!" brilliant!! the bag is not light. so yeah it's not as easy breezy as my Balenciaga city. but it feels substantial so with a relatively sensible load of stuff in it it's not that bad. i also like to carry the SC on the top handles to switch it up. that is such a beautiful bag! is it still on sale...because it'll be a few years until I graduate college and go buy a bag of my own. it's so beautiful and understated, and goes along with your simple outfit superbly. Love it. Did you go through Portero or are there other sites? Congratulations on this beautiful bag! I sold one of my 2.55 to fund this bag in PM size last year and honestly, no regrets! It is so beautifully made! :) I am only 5'1 and the size is just perfect with lots of room left. I guess I carry very light. "the SC bag is the perfect bag. it is one of those dream items that in real life looks exactly like how you imagine it." I totally agree with your comment and while doing research on TPF, some members commented that the leather is close to Hermes leather. Would you agree? Love yr blog by the way! thanks! :D oooh congrats on your PM! i the regular or the PM just depends on your height and the dimensions that work for you! i definitely agree that the leather on the SC is quite close to Hermes' supple leathers. and so genius to have a luxe grey suede lining! thanks :) i saw some antique LV trunks in a hotel lobby once and they are impressssive! I'm late to the party, but this bag is gorgeous. It suits you. The leather is incredible. I tried it in Paris several years ago and it really is wonderful. The only thing that left me questioning was the weight. It's really heavy, but I find Hermes the same way when I steal my moms and carry it around all day. How has it been? thanks Lindsay. definitely a big dream item crossed off the list. you're exactly right about the weight on the LV compared to an hermes. the SC has been pretty great when i wore it around all last summer. the shoulder strap is actually quite comfy as well, sits on the shoulder with some cushioning too. OHHHHH your bag.... beautiful. so beautiful. for me it would truly be a dream for that bag to materialise in my life. But I *can* dream until then, right?? i really like the SC bag and i'm actually looking to get myself one, i just have a few questions for you, i'm 5"4 and am concerned that the regular SC may be a bit too big for me. Any thoughts? Love your blog! So inspiring. I'm saving for a staple quality bag, but can't decide between the petit SC bag or Celine mini luggage. My wardrobe is very basic, jeans, white T's, boots or ballet flats. Mostly neutral colors: black, white, gray, beige, etc. Any thoughts is greatly appreciated! Thanks.